Packing for a vacation can be both stressful and exciting! I actually love packing for vacations. Unpacking, on the other hand is a different story. I like to think I’m rather organised, so I wanted to share my own travel packing hacks to help you prepare for your next trip. 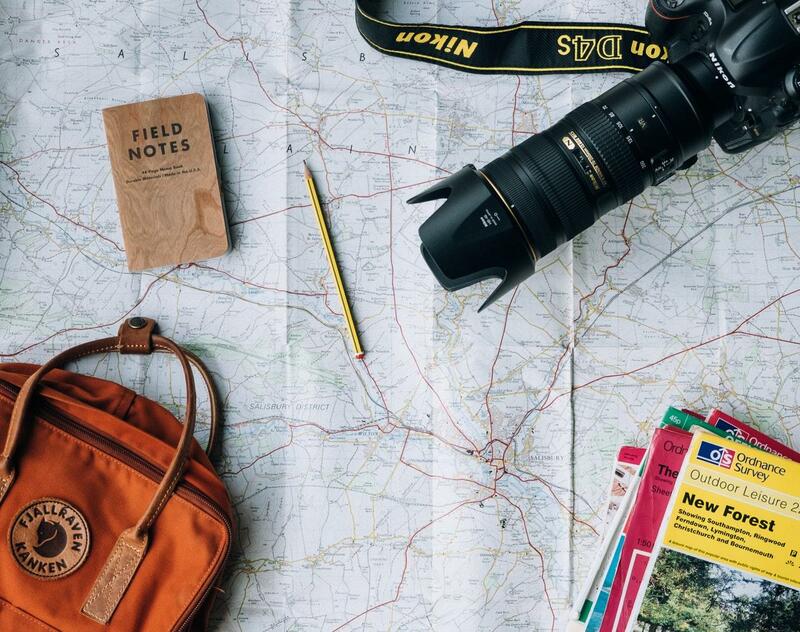 First things first, different types of trips mean different packing requirements. But despite the type of trip you may be packing for, there are some general travel packing hacks that will help anyone maximise their luggage allowance. Depending on your shoe size of course, but you can usually pack up to 3 pairs of socks in one shoe once they are rolled. I’m a UK size 6 and can fit 2 pairs of socks and a pair of underwear in one shoe! Ok, so you’re packing a bag and I’m telling you to pack another bag? Yes! Don’t forget to pack spare empty plastic bags. They come in handy for wrapping dirty or wet clothes or anything else you want to keep separate from your clothes. Similar to the above hack, shower caps are also great for doubling up as shoe covers. They fit perfectly around your shoe or sandal so are perfect when you are trying to keep the sand away from the rest of your clothes. Not to mention that they can pretty much be found in any hotel room. Distributing your items evenly is just one part of the problem. If you haven’t packed it right, you may find the weight uneven and hard to roll along. So be sure to pack your heavier items such as shoes towards the bottom of the case. This will help with the weight distribution and make it easier to roll. I always pack emergency items such as pain killers, plasters and even imodium (which was a lifesaver on a trip to Philippines!). Packing useful medication is always handy as you never know when or if you will get a chance to find a pharmacy at your destination. Lastly, don’t forget to save some space for all the goodies you know you will eventually buy. If you’re like me you may even have a slight addiction to shopping at duty free. And don’t forget the space all your souvenirs will take up! 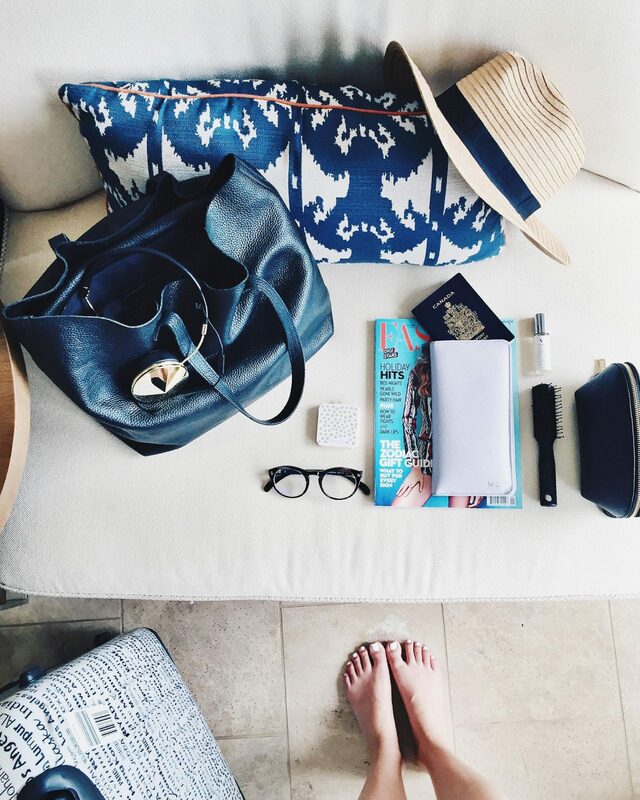 So that makes my travel packing hacks, do you have any of your own to share? Also check out these space saving packing tips from the experts at Travel & Leisure. Have you got any exciting holidays booked? I absolutely love packing! Always get so excited for it just before a trip haha. These were all brilliant tips! Definitely going to come back this post before my next trip! double stuff!!! my husband is a size 13 shoe I I pretty much pack all my underwear in them on a trip! Thanks for the tips, and I agree wholeheartedly about the Imodium, especially to the Philippines! I’ve never even thought to put things inside shoes!!! What a brilliant idea! Thanks for the tips 🙂 I always do the ‘shove stuff in shoes’ trick!! Thanks for these tips. I am always looking for new packing tips as I’m on the go throughout the year. Oh my goodness, what amazing hacks! I’m a huge fan of the roll method too – but I’d never thought of using shower caps as shoe covers!!! MIND. BLOWN. These are indeed some great tips! Personally, I prefer staying at luxury hotels that provide toiletries and other essentials so I don’t have to pack a lot. Now after becoming a mum, most of the bags I pack have stuff for my baby. I am hereby a clothes roller and shoe stuffer BUT that shower cap hack? I am SO stealing that!!! Fab tips! These are fantastic tips! I’ve heard about the rolling & the shower cap tricks before, but the others are new to me! I always roll our clothes up, it saves on so much space! Love traveling which means I love packing. These are all great tips I always apply! You have a similar pacing style to me. Rolling clothes is definitely a space saver and if done properly can help lessen wrinkles. I like to clothing that can be dressed up or dressed down and till always take ‘posh’ sandals as well as casual. Shoes can completely change an outfit! Never thought about putting stuff in shoes. That’s super clever. Thanks for the tip. I love packing too! I especially love writing lists of things to pack as I’m a bit sad like that haha. I’ve never thought of rolling things so will try that for my next holiday. Some great advice! I always pack empty bags (even on a day trip) as you never know when you will need them. I would to pack for a trip. It helps me be more organized.